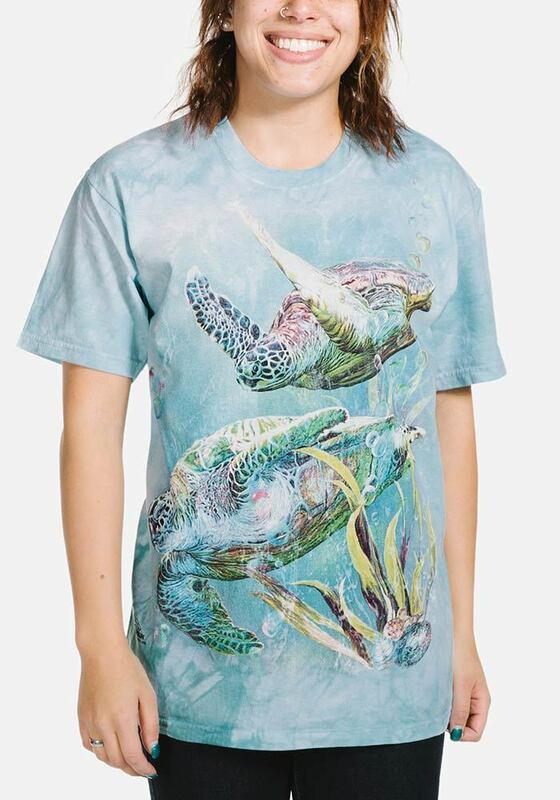 This aquatic t-shirt from The Mountain® features the aquatic artwork by Tami Alba. The stunning artwork features sea turtles swimming. Did you know? 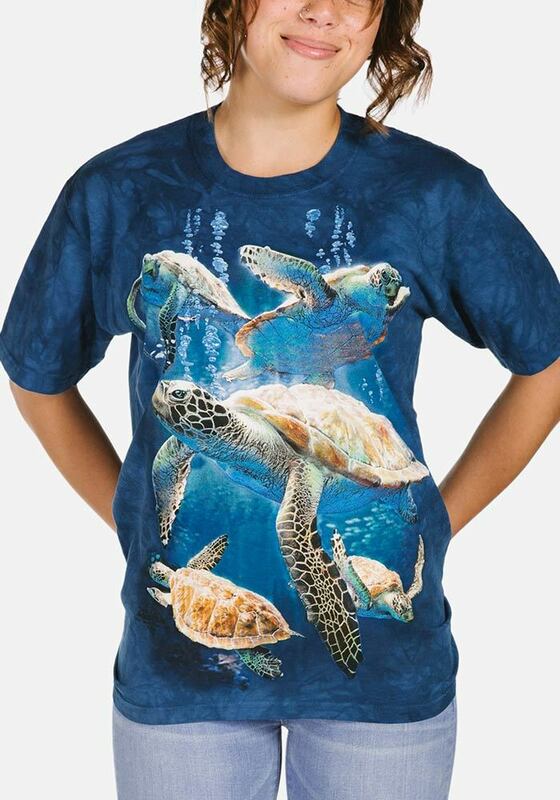 Sea turtles, sometimes called marine turtles, are reptiles of the order Testudines.